British official / Air Ministry photograph. Approximately 21.5 x 16.5cm. Issued/dated February 1945. 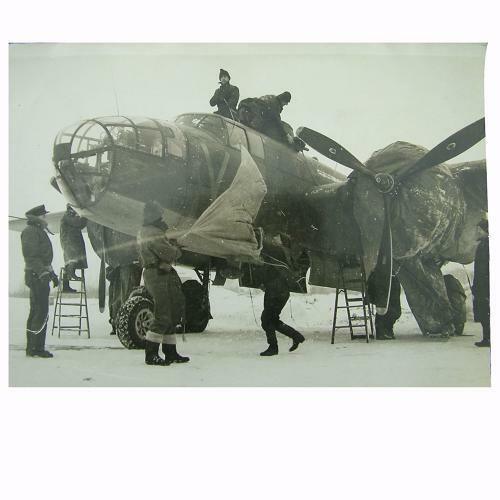 Shows groundcrew taking the covers from a RAF Mitchell medium bomber during a blizzard on a RAF 2nd tactical air force airfield in Belgium. 'Despite snow and frost, the medium bombers continue to pound enemy supply lines and communications whenever possible'. Light creasing/dog eared corners but in good overall condition. Stock code P22873-111.